Maureen Harmonay's Animal Communication Blog: Last Call for Special June Pricing on Cat Consultations! Last Call for Special June Pricing on Cat Consultations! I'm reaching out to anyone who's always wanted to have an animal communicator talk with her cat, to let you know that there are only three days left to take advantage of my special June pricing for cat consultations! 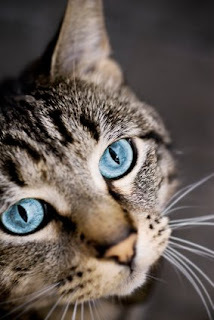 Through June 30th, my fee for telepathic communication sessions with cats has been reduced to $40.00, a $25.00 savings over the regular $65.00 price. If you request your session by midnight on Tuesday, June 30th, 2009, I'll honor that price, even though I will actually be conducting the consultation during the month of July. To request a session, just go to the Animal Translations website and click on "Consultations." Use the "Cats with Cancer" pricing for PayPal and scroll down to fill out a "Consultation Request Form," which will arrive in my Email box within seconds after you send it.